Going to music festivals can be eye opening how the general public acts. In short, people can get mean, rude, and pushy when it is a band they like and want to be front and center, but there is a concert etiquette that needs to be followed. Recently at Coachella, I really wanted to see was AC/DC and so did everyone else who is a music lover. Knowing this, my brother, my roommate, and I got there two and a half hours early, watch the act before, and then waited. We were by no means in the front, but we had a decent view of the show. A few songs in, a group of four teenagers/ early twenty kids decided to push there way through the crowd, jump around slamming into people, as well as used people as a brace to get up on each other shoulders. Now, I am not saying that you should stand still in a bubble at a concert or not sing along and dance to the music, but if you are unable to lift people without using strangers as a brace you probably lack the strength to actually have someone on you shoulders. Also, the people standing in front of you don’t enjoy being kicked in the head. So what’s the lesson? Dance around, sing along to the music, but don’t push in front of others who have been there for hours and preceded to slam into them, because eventually you will run into someone like me who will tell you off and scare the living sh** out of you to behave like a normal person in society. Celebrities go to concert too, and they want to enjoy the music not have you screaming at them to take a picture on your phone. Famous people are just normal people who happen to be well-known. If you ever want the chance to meet one you need to act normal and not crazy. Being at Coachella you run into various celebrities. For example, Paris Hilton was standing in front of my brother and I at the Kaskade concert. There was a barrier, and this girl next to us preceded to scream at her as well as ask every person in front of her to take a picture of her. Of course everyone looked at her funny and said no, but that didn’t stop her. Seriously, if someone can explain to me the obsession with celebrities I am all ears because I just don’t get the spastic emotional frenzy that people become around someone famous. Finally, be nice to the staff. At a large music festival I applaud the staff. Being a person that manages sixty to eighty events a month, I sympathize with the staff and how much the general public can be a pain. Don’t throw trash on the ground, there are garbage cans all around the festival site. Those big blue cans are not just there for decoration. Follow the rules and be respectful to the security team. There were a bunch girls who continuous were sitting up on the barrier to watch the show even after the various security told them to get down. Now I am 5’2” so I understand being short and not being able to see but seriously get over it. I can tell you if I was that security person I would have told you if I tell you a second time I will throw you out. The security team as well as the staff have a lot of power and they are not the people that you want to push because they can have you ejected no matter how much money you paid to be there. To all you concerts goers out there follow the concert etiquette, and the bottom line of it all is don’t be a douche. 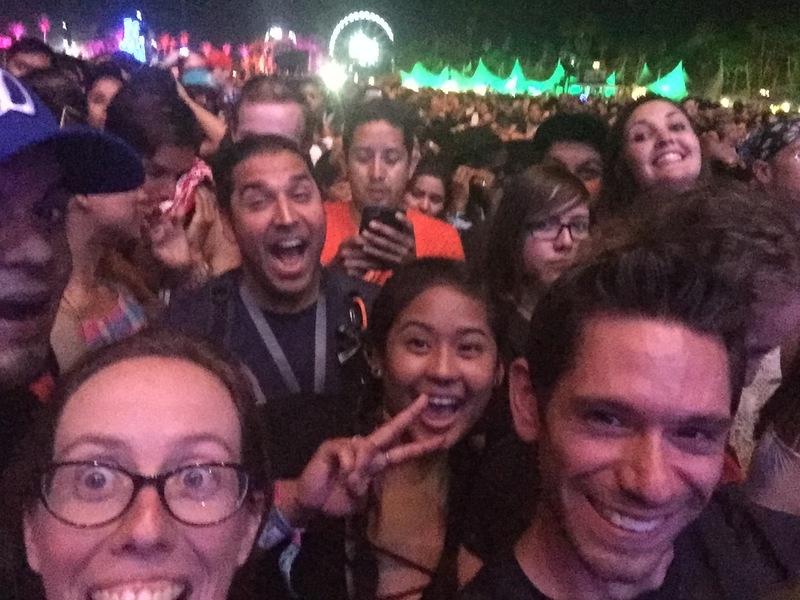 On April 17-19, 2015 I went to the musical festival Coachella, which was totally epic! Excuse me for my teenage verbiage above, but if you ever get the experience to go you need to make it happen. Yes it is crazy expensive, no the VIP tickets are not worth the cost, and camping is for chumps, because the resorts and a nice bed are where it is at. Being from the east coast the three hour time adjustment was rough and if you are coming from a time difference give yourself more then a day to recoup your body. Usually such a small time adjustment isn’t a big deal, but when you are going to bed at 3 AM and get up at 9 AM there is really no time for your body to reset. Let’s talk about being a VIP at the festival. It is seriously pointless. You pay $800 to get better food that you pay more for, shorter bathroom lines, and more shaded areas. If you have difficulty with hundred degree plus weather then VIP is for you, but if you are like me and heat feels like a warm blanket go for the general admission. 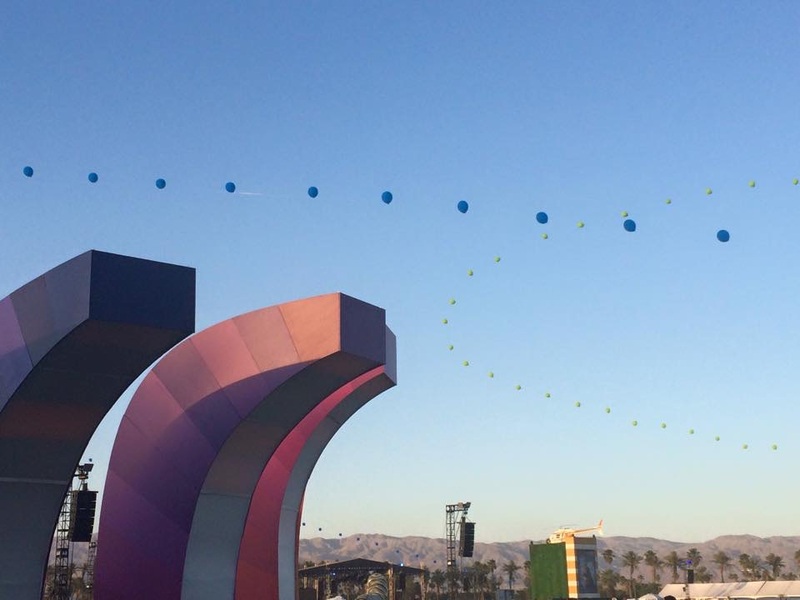 The great thing about a festival like Coachella is there are dozens of bands, a slue of music genres, and five stages that you can bounce around to see various acts all day and night. The first day of the festival is the best day to really explore the venue, get your merchandise, and see the art installations. Three of my favorite acts on the first day were AC/DC, George Ezra, and Kiesza. For a bunch of old guys I think AC/DC rocked harder then any other band at the festival. 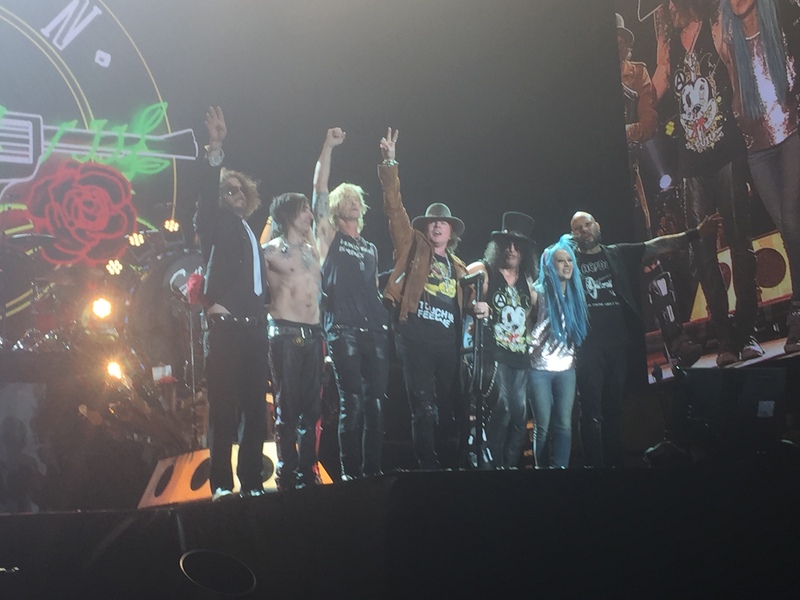 The long guitar solos that you never hear anymore in music is a breath of fresh air, the movement and jumping around on stage to get the crowd going, and the ability to bring various generations together with a form of music that never dies – rock n’ roll. George Ezra is a modern day singer/ songwriter. His voice reminds me of Don Henley with a mix of Johnny Cash. He has an old soul when he sings. You can tell in his voice that every lyric and note means something and he has that old school rhythm and blues sound that makes you connect with the music. Those of you who don’t know Kiesza you need to crawl out from under that rock. She is a dancer turned singer and her show was full of dance, music, and connecting with the audience. She even had back up dancers for the show and she was dancing and singing with them. She showed no signs of being fatigued or out of breath. Her stamina and energy was something that I haven’t seen from a current century music artist in a long time. 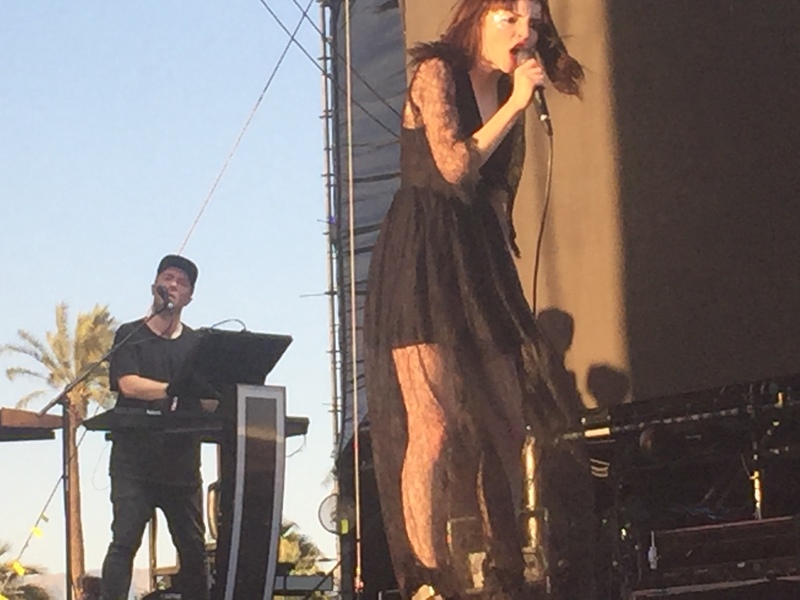 I think the public is going to be seeing and hearing a lot more of her, especially if her live shows continue to bring such a powerful energy. On day one we also saw DJ Snake. I have never seen my brother so excited as when we saw DJ Snake take the stage with two old school rappers DMX and Sir Mix A Lot. The energy in that EDM tent was busting by the end of that set as everyone was dancing and singing along. On day two and three we took a different approach to seeing artists. Obviously at music festivals you are dealing with large crowds, drunk and high idiots, and lack of sleep, so, the less you have to deal with too much stupidity the better. The first day we bounce between the varios stages and saw artists at every venue there was to see, but the following two days we stayed mostly at the outdoor and main stages. Staying between these two stages allowed us to get a better viewing spot for the people we wanted to see such as Jack White, the Weekend who brought out Kanye West, Royal Blood, Florence and the Machine, Marina and the Diamonds, and Bad Religion. We got right on a rail and could brace ourselves with the crowd, as well as saw some other artists who were pretty amazing that we might not have otherwise heard, such as Saint Motel, The Orwells, and Circa Survive. So what are you going to do on your next music festival excursion? Explore artists that are unfamiliar, make sure the VIP tickets are actually worth it by talking with someone from the festival and not just online, and be sure if there is someone you really want to see camp out there all day because more then likely everyone else really wants to see them too. You don’t want to be that jackass pushing through the crowd of people that have been there for hours.